This whole week I will continue to review my purchase at Play Imaginative. If you have to ask, I bought 5 items that day which are 2 To-Fu and 3 other Designers toys. 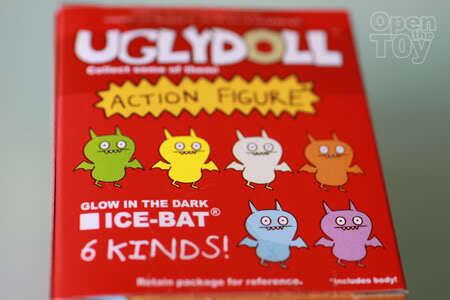 The next one I am going to review is from UGLYDOLL, ICE-BAT Action Figure! 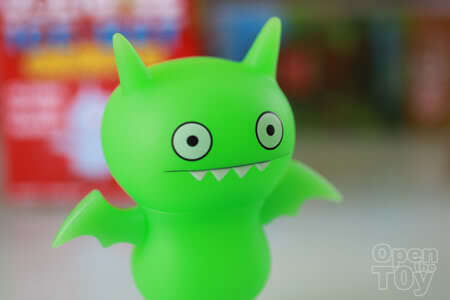 This series comes in 6 different colors that glow in the dark. 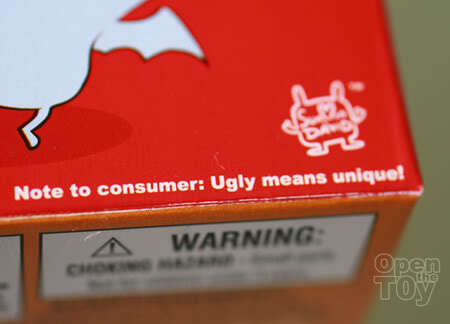 A note to consumer from the toy maker: "Ugly means unique!". So in short this is a unique toy! 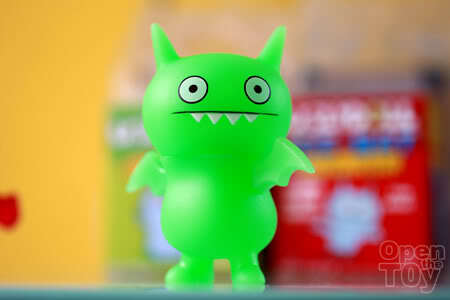 Meet Ice-Bat lime green. Ice-Bat have wings instead of arms. It is a bat so what do you expect? The head is bigger than the body but it can balance well. Good design. Although it is an action figure, there is only one joint that can be move which is the turning of the neck. I bought it for the design so action figure or not is not important to me. The Ice-Bat nerd look is cute for me. 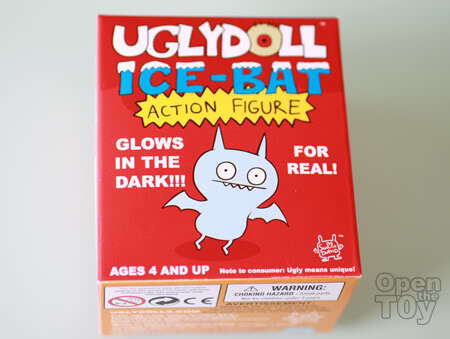 If you are interested in this UGLYDOLL Ice-Bat, you can get it here. how tall is it again? WOW i like this!! How much does it cost you?? Indeed. Wait till you see them glow in the dark. If I remember correctly it is less than $15 SGD. There's quite a lot of cute designer toys you bought lately. I like it and cool catchpharse "Ugly means unique!". If you want one, you can get it here. If you are in SG you can get it at Play imaginative if not just If you want one, or get it here.